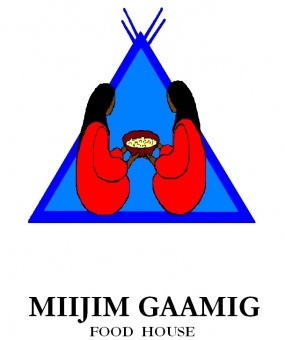 The NIIGAANIIN Program is an "active" social assistance program. Niigaaniin Project is the implementation of the Ontario Works legislation that is culturally appropriate and based on community specific needs that are delivered through a client case management model within the seven-north shore First Nations. · Basic Needs: are for food and clothing for yourself, partner, and any dependents you may have. · Program staff will assume the role of case manager on behalf of FA recipients and each of their adult dependents - helping them to identify and understand their needs and the barriers they face, helping them to construct plans of service (participation plans) to address these needs and barriers, referring them to and advocating as necessary to ensure they obtain identified services and work experience placements, coordinating service provision, monitoring the impact of service provision and work experience in relation to plan and periodically facilitating review and evaluation of progress against plan. · Program staff will also assume responsibility for the direct provision of services (ongoing motivational and supportive counselling in relation to attitudinal, motivational and self esteem issues); and, in some communities, will provide other relevant services (when not available from other sources) such as basic life skills training and literacy development when identified as a requirement through assessment and inclusion in participant service plans. · Program staff will also ensure access to needed supports such as daycare and transportation by paying the costs associated with participation under a service plan. · Working with other community-based programs and off reserve agencies to foster the availability of the specific services that are needed by numbers of NIIGAANIIN participants - and to help ensure that these services are provided in a culturally appropriate manner. · Working with other employers to create and supervise paid and unpaid work experience/training positions tailored to the particular needs and characteristics of NIIGAANIIN Program participants. A third component of the strategy is to institute a family support function which will directly assist clients to pursue spousal and child support as well as other forms of support to which they may be entitled. Finally, the model calls for continuous monitoring of progress and a case management information system is in the process of being implemented across the seven First Nations that will support this monitoring process and produce progress reports with a minimum demand on staff time.